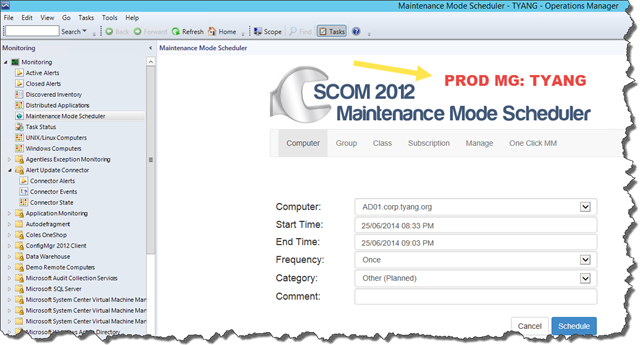 Tim McFadden has just released the SCOM 2012 Maintenance Mode Scheduler Version 3. The new MPs are included in the msi. 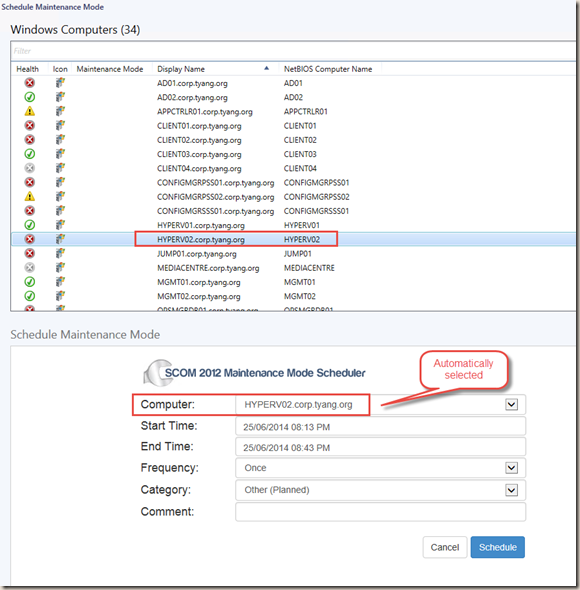 they are located in “C:\Program Files\SCOM 2012 Maintenance Mode Scheduler\Management Packs” folder once the msi is installed. 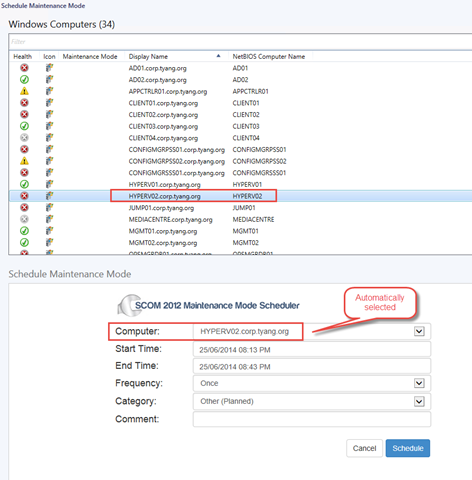 various tick boxes from admin.aspx page. 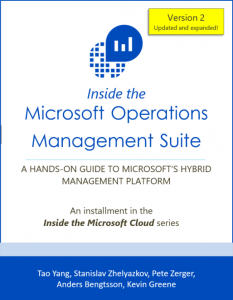 Therefore, to avoid unnecessary downtime, I’d recommend you to have all these information ready before the upgrade. 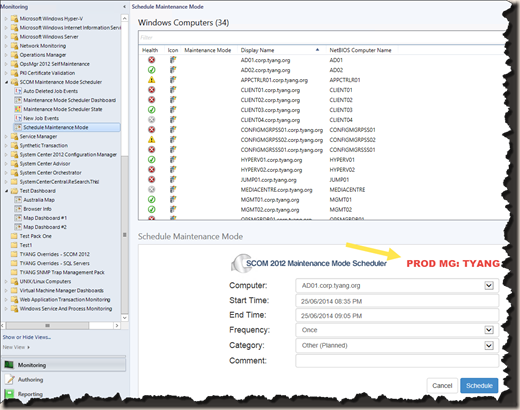 I’ m using scom 2012 sp1 ur6. Is it work in this version? I’d assume so, although I haven’t tested it in a pre R2 environment. 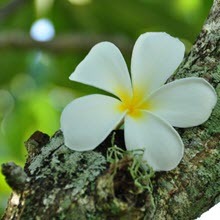 You can download the 30 day trail version to try it out. And I’d suggest you to confirm it with Tim directly. 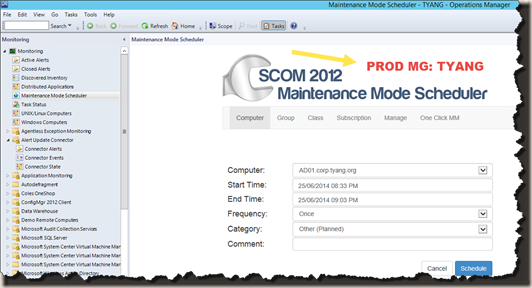 I’m running SCOM 2012 R2 UR6 and just installed the latest Maintenance Mode Scheduler from Tim’s blog site. 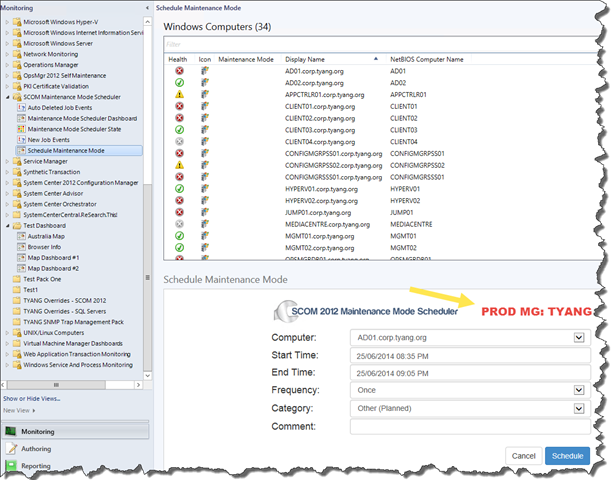 I also imported the included MPs that you wrote, v6.1, but for some reason the powershell widget is not showing anything in both the Maintenance Mode Scheduler Dashboard and Schedule Maintenance Mode Dashboard. Is there any additional configuration that I’m missing?